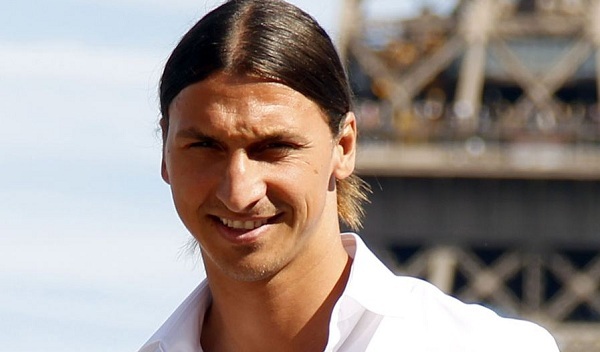 Zlatan Ibrahimovic, 31, has come back to Paris after the summer holidays. He does it with a lot of question marks hanging over him- and with a scheduled meeting with President Nasser al-Khelaïfi. Coach Carlo Ancelotti left for Real Madrid and sporting director Leonardo resigned. When Zlatan Ibrahimovic today arrived in Paris everyone is asking the question: what does Zlatan Ibrahimovic thinks of the many changes in the club? According to French newspaper L’Equipe PSG’s president Nasser al-Khelaïfi, the man behind the super solicitation of Napoli’s Edison Cavani, 26, has traveled to Paris to meet with Laurent Blanc and the players before the team travels to Sweden friendlies. According to l’Equipe al-Khelaïfi wants to insure star players, including Zlatan Ibrahimovic, that PSG still has ambitious goals – despite Carlo Ancelotti left the club. – Ibra will stay, that’s for sure. He’ll play with Cavani, that’s why we bought him. But the details about the team his coach is taking care of, said PSG’s owner Al Khelaifi at Tuesday’s press conference. Ancelotti wants to rejoin with Zlatan Ibrahimovic in Real Madrid. The information about a move has gained new momentum last week, where especially Real Madrid – with old coach Carlo Ancelotti declared that he wants Zlatan Ibrahimovic to Spain – chasing the Swedish striker. During the morning Zlatan Ibrahimovic arrived to Clairefontaine, the French football association reputable talent academy outside Paris. The Academy is located in a quaint suburb a few miles south of the town and the many greens surrounded by lush trees and pleasant environment. Paris Saint-Germain are there for a couple days of training camp for the match against Hammarby in Stockholm on Tuesday on the Tele2 Arena. This entry was posted in Paris SG and tagged Carlo Ancelotti, Edison Cavani, Laurent Blanc, Nasser Al-Khelaifi, Real Madrid on July 20, 2013 by Johan Bengtsson. ← Zlatan and Cavani, a good combination?